Your 2018 Boston Red Sox completed an historic season on Sunday. By beating The Pinstriped Posers 10-2, they secured their 108th win of the year (the new franchise record)—and finished with an eight-game bulge over New York in the AL East. 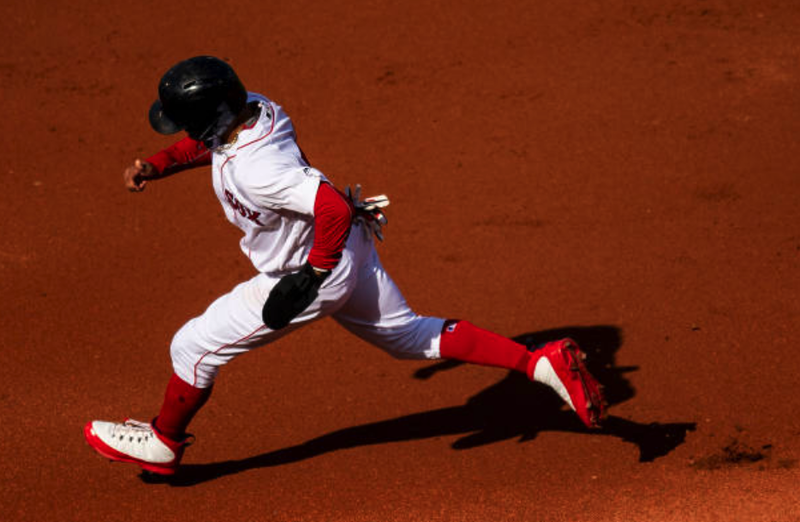 They also cemented two player titles—Mookie Betts is the 2018 American League batting champion (finishing with a .346 average) and J.D. Martinez is the AL RBI leader (three today, for a season total of130). Martinez also clouted his 43rd HR in the rout and Xander Bogaerts smoked his 23rd HR (to go along with 103 RBIs). Rick Porcello started the game for Boston—but went just two innings without giving up a hit. Seven Red Sox relievers went one inning each to wrap up the win. Brock Holt continued his hotting September hitting—going 2-4, with three runs scored and an RBI. Eduardo Nunez and Jackie Bradley, Jr. each had two hits apiece in the overall 13-hot Boston attack. The Red Sox will host Game One of the American League Division Series on Friday—against either The Evil Ones or the A's.